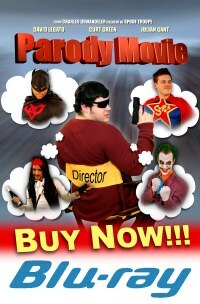 Buy 'Parody Movie' on BluRay!!! 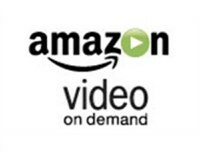 Parody Movie is silly-funny, with some laugh out loud moments throughout. The best part of it for me was the pacing of the film...you are quite literally laughing from beginning to end, all the while wondering how somebody on such a limited budget could possibly produce something this uniquely creative. We all know Animal House and other college cult classics...I think this could be the next such item! Sharing a few beers, or after some tailgating, hey, let's watch that Parody Movie again, it's a riot! I've been so sick of the horrible parodies, but when I'd seen this independent film, I figured it wouldn't get stuck in the usual Hollywood typecasting. I was right, it was awesome and original....Some graphics were a bit cheesy, but that fit perfectly into the premise. I recommend this to everyone!!!!!! One of the funniest and most original movies that I'm proud to own. This movie should come with a warning: "Don't attempt to eat food or drink liquids while watching this film, cause it will be sprayed across the room from laughing so hard". 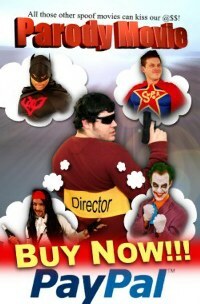 This movie gets the Jason Echols seal of approval!